New Delhi, Oct 25 (IANS) In a bid to counter the opposition’s plan to observe the first anniversary of the November 8 demonetisation as ‘Black Day’, the ruling BJP on Wednesday said it will celebrate the day as “Anti-Black Money Day” across the country. “There was a parallel black money economy in the country. When the NDA government came to power (May 2014), Prime Minister Narendra Modi took steps to minimise and end it. 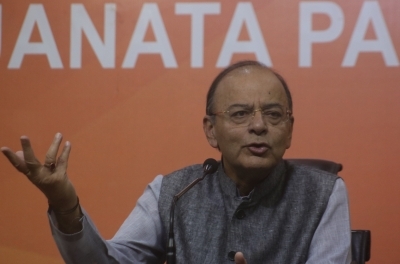 On November 8, the BJP will celebrate ‘Anti-Black Money Day’ and create a mandate in favour of the steps taken against black money,” Union Finance Minister Arun Jaitley told reporters here. 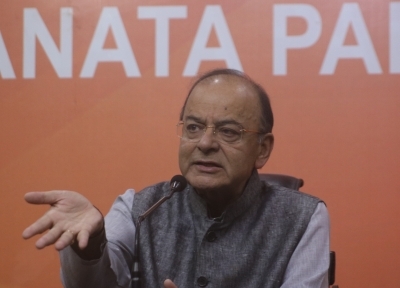 Jaitley, a senior BJP leader, said it will be the Bharatiya Janata Party’s major programme, in which all Union Ministers, Chief Ministers and senior party leaders will participate. Listing the government’s steps to counter corruption and black money, Jaitley hit out at the opposition Congress for observing the demonetisation anniversary as ‘Black Day’. “The Congress had adequate opportunity to be in power. I cannot recollect a single significant step they ever took against black money. The steps taken by National Democratic Alliance government are not small,” he said. “Various bank accounts were illegal and cases were filed against the holders. Demonetisation was a big step towards it. It was a huge step towards squeezing cash currency,” he said. The BJP leader also accused the Congress of making banks hollow from the inside and said that this legacy was inherited by the present government. “We took time to address the problems arising out of their incompetence,” he said. The Congress-led 18 opposition parties on Tuesday said they will observe November 8 as Black Day to protest against the “ill-conceived and hasty” decision of the government to scrap Rs 500 and Rs 1,000 currency notes a year ago on that date.